AlyssiaRose: 31 Day Challenge! Day 12! Something I Miss! 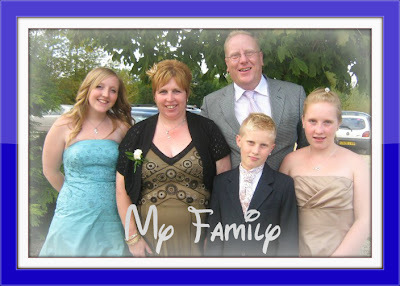 If you read my blog then one thing you might know about me is that Friends and Family are one of my greatest treasures! One of the things I miss the most right now is my family. I study at a university that is quite far away from my home town, meaning I only get to see them every 3 months or so, and that is really hard. My mum is my best friend, and I get on really well with my sister too, so to be away from them for so long is just horrible. This is one of the main reasons I am excited about graduation, because it means that I get to move back and see them all the time! Even though I know that they are going to drive me absolutely insane. But then this poses a problem. When I graduate, I won't get to see my friends very often at all. My 5 best friends have basically become my second family, so when I graduate I'm going to miss them all equally as much as I miss my family now! I don't know how I'm going to cope without seeing my Best Friend Ellie almost every day. It's certainly going to be an adjustment, and not one that I am necessarily very happy about! So I may not see my family very much now, but I am about to loose my five greatest friends in the world, and I honestly don't know which is worse. I'll deal with that hurdle when I get to it, but for now, it makes me sad to even think about it. I cannot imagine living away from my family and missing them. I am glad you will be moving home soon. My friend Kay shares your problem. She's from Crawley but she lives her in the US now and has for quite a few years. She said when's she's here she misses England and when she's home she misses America. I couldn't imagine living such a torn life. Hang in there!